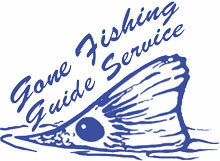 If you are looking for a fishing adventure of a lifetime in New Smyrna Beach then you need to give Capt. Karty a call. Captain Karty has been a Mosquito Lagoon and Indian River Lagoon fishing guide since 1992. Have fun and tell Capt. Karty that Shore Villas sent you! Historic Flagler Avenue and Canal Street have seen many changes through the years, but both seem to be more comfortable than ever in their own skin. Jason’s Corner and Mango Thai on Canal are two favorite stops. You have to love the Little Drug Co.’s trapped-in-time diner counter. And Henry Salgado at Spanish River Grill (Publix plaza on east Third Avenue) can give the Orlando culinary superstars a run for their money any day. Beachside, Flagler Avenue — the north main drag to the ocean — thrives with pub crawls, street festivals and a vibrant restaurant scene. Atlantis Bistro, The Breakers and others are enjoying a feeding frenzy of sorts. Where the north causeway over the Indian River gently slopes toward Peninsular Avenue, the Gnarly Surf Bar & Grill has redefined what you might expect of a beachy casual eatery. But this place has no ordinary chef at the helm. Danny Veltri surged into the national spotlight as the 2009 winner of “Hell’s Kitchen,” the Fox culinary reality show starring the caustic and generally bombastic chef Gordon Ramsay. At the time, Veltri was known locally for his eclectically inspired fare at the original Flip Flops Grill & Chill, on Pine Street just off Flagler, and the Flip Flops that took over an old Shells on Third Avenue. The Sarasota native soon returned to Florida, started consulting and created Back From Hell Catering. In 2011, he joined with a group of investors to create a surf bar with creative food. The result is the Gnarly Surf Bar & Grill. The menu and restaurant are homage to all things surfing. Televisions play loops of great wave rides from around the world. And our staff photographer pointed out to me that “they have local surfboard shapers’ surfboards displayed on the roof.” Very cool. NEW SMYRNA BEACH — When she collected 150 signatures on the first day of a petition drive to keep the State Road 44 Kmart open, Ellen Weller thought she had accomplished a lot. She had no idea the grassroots effort she helped start would eventually garner more than 6,100 names. “I keep thinking it’s going to start dwindling down, but it hasn’t,” she said. She also gained support from the city with a resolution and the mayor’s promise to get in touch with Kmart officials. Sears Holding Corp., parent company of Sears and Kmart, announced Dec.29 it was closing more than 100 stores nationwide. The New Smyrna Beach location is one of three — along with Sears Essentials in DeLand and Kmart in Orange City — slated to be shuttered in Volusia County. According to a letter sent to the City Clerk’s office, the last day of a liquidation sale for the S.R. 44 store will be April 10. Since the announcement, Weller has been faithfully stationed in front of Kmart to collect signatures in hopes of changing the store’s seemingly already-decided fate. Nancy Sinicki, an Edgewater resident and Kmart regular, added her name to the list of boosters Friday afternoon before she began shopping. A rally is also being planned in front of the Kmart today. Wayne Knicker, who is organizing the event, is hopeful many will show up despite chilly temperatures in the forecast. He plans to be at the store from opening to closing. Organizers are asking that those who turn out for the event wear red as a sign of solidarity. “I’m fairly confident that we’re going to get their attention and they’re going to reconsider their choice,” Knicker said. Kmart’s New Smyrna Beach manager referred questions to the corporate office, and a spokesperson with Sears Holding Corp. could not be reached for comment Friday. Tony Otte, New Smyrna Beach’s economic development director, said the popular opinion in the community is that the store has picked up many more customers since the Walmart in the NSB Regional Shopping Center moved west of Interstate 95. “It would seem odd timing, if that, in fact, was the case,” Otte said of the decision to close the Kmart. The City Commission on Tuesday voted unanimously to send a resolution urging Kmart to keep the store open. Mayor Adam Barringer has pledged to try to contact Kmart officials to plead the city’s case. The Florida Highway Patrol is warning commuters traveling through Volusia County to be cautious of smoke Monday morning because of brush fires. Firefighters created a “cold zone,” within the fire lines to prevent more flare ups, and crews remained on scene throughout the evening and into Monday morning. Troopers also caution drivers to be careful of smoke in the area of State Road 44 and Pioneer Trail in the New Smyrna Beach area because of brush fires.